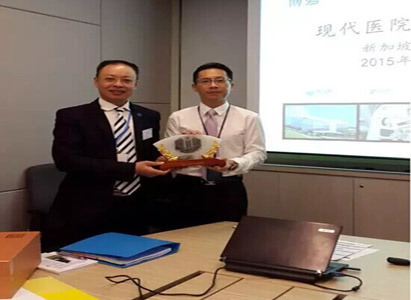 Events | The President of Modern Cancer Hospital Guangzhou Wang Huaizhong and his medical team went to Singapore for exchange and study. The President of Modern Cancer Hospital Guangzhou Wang Huaizhong and his medical team went to Singapore for exchange and study. 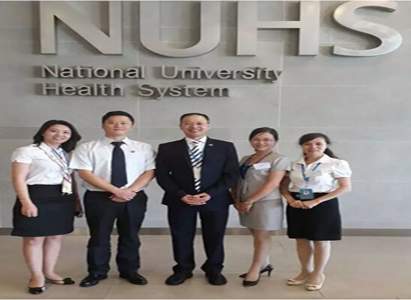 On July 27, Wang Huaizhong, the president of Modern Cancer Hospital Guangzhou, and his medical team went to National University Hospital of Singapore to communicate the hospital organization and management, and the quality management etc. President Wang and his team went to NUHS for exchange and study. This exchange and study would last until July 31. During these five days, experts of National University Hospital of Singapore would introduce their hospital management including organization pattern, quality improvement management, clinical supervision, and medical service management etc. It is reported that as one of the biggest national hospitals in Singapore, National University Hospital of Singapore is famous for cardiology, gastroenterology, hepatology, surgery, obstetrics and gynecology, oncology, ophthalmology, and pediatrics. What’s more, it is also well-known that for its most advanced medical service in Singapore. President Wang exchanged gifts with the director of national academic exchange department of NUHS.